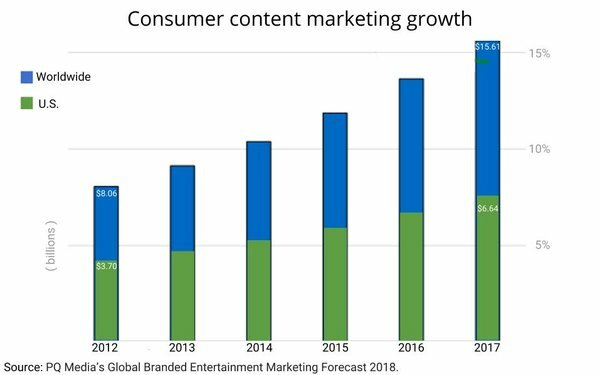 Reflecting a strategic push by marketers to bypass conventional advertising and media-buying, so-called “content marketing” has grown in a relatively short period of time into a $16 billion global industry. 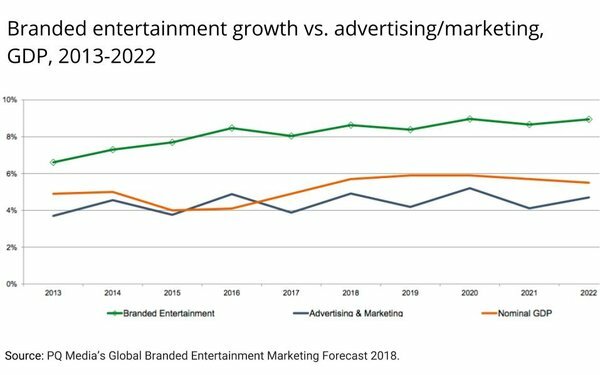 That is among the top line findings of the 2018 edition of media research and economists PQ Media’s Global Branded Entertainment Forecast. In the U.S., consumer content marketing has grown to a more than $7 billion industry. The report finds the overall branded entertainment marketplace -- which includes traditional forms such as product placement, branded entertainment and experiential marketing -- is expanding much faster than the overall economy, or overall advertising and marketing spending, both globally and in the U.S. 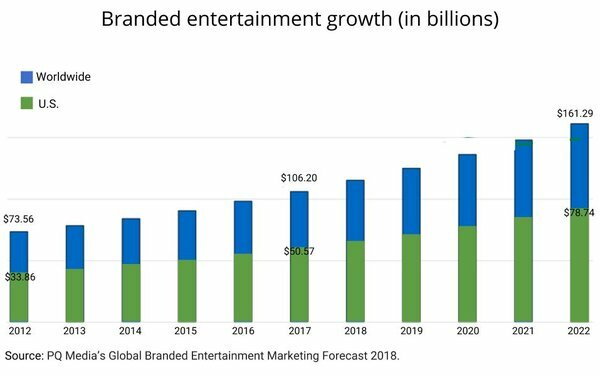 In fact, branded entertainment has been expanding at about twice the rate of general advertising and marketing spending.